Eleven NFL players were recently invited on an all-expenses paid trip to Israel. Although they all initially accepted the invitation, only five ultimately made the trip. The drop in attendance was sparked by Seattle Seahawks defensive end Michael Bennett and Miami Dolphins wide receiver Kenny Stills, both of whom decided to boycott the trip and publicly express their dissent. As an activist and longtime supporter of Palestinian rights, I applauded the move. Sponsored by the Israeli government, the trip is part of a larger multi-million dollar “Brand Israel” strategy meant to distract from the country’s ongoing 50-year military occupation of Palestinian lands and consistent violation of international law. Such trips often attempt to lure celebrities, U.S. politicians, Black and Brown Americans and even students in an effort to present a sanitized image of Israel. In a powerful statement, Bennett announced he pulled out of the trip because he wouldn’t be “used in such a manner,” and reiterated his commitment to standing in solidarity with oppressed communities. Bennett’s and Stills’ decision to not only back out of the trip, but also to publicly denounce it, is an important and necessary act of solidarity. After all, if the athletes had gone on the trip, they would have likely hung out on the beaches of Tel Aviv, visited the vibrant club scene, and dined at five star restaurants, all of which tell part of the story of Israel. But more important are the parts that they would have missed. They wouldn’t have spoken to a mother whose fourteen-year-old child was arrested in the middle of the night, or the daughter who watched her father get shot by Israeli police because he looked “suspicious.” They wouldn’t have witnessed how Palestinians are prohibited from walking on the same side of the street as Israeli settlers in Hebron, or the wired nets that line the storefronts to prevent settlers from throwing trash on Palestinians as they walk past. They wouldn’t have spoken to the children in the refugee camp who were evicted from their homes which they watched bulldozers destroy to make way for new Jewish-only settlements. They wouldn’t have spoken to the farmers who stand in the back of trucks for hours waiting to pass through checkpoints, or the women who have been forced to give birth at checkpoints while trying to receive medical assistance. They wouldn’t have spoken to the Eritrean and Sudanese refugees who have been held in Israeli detainment camps. And they wouldn’t have spoken to the Afro Palestinians who have long standing roots in the region and deep cultural and emotional ties Black Americans. In short, they wouldn’t have seen anything close to the whole truth. Shortly before their announcements to pull out of the trip, an open letter was released asking the NFL players to consider withdrawing from the delegation. The letter included signatures from renowned musicians, artists and social justice advocates, including Harry Belafonte, Danny Glover, Angela Davis, Alice Walker, and John Carlos, known for the iconic moment when he raised his fist in the air in a Black power salute during the 1968 Olympic medal ceremony. Urging players to consider the political ramifications of attending the trip, the letter drew on the undeniable connections between the struggles faced by Black and Brown communities in the U.S., and Palestinian, Afro Palestinian, Eritrean and Sudanese communities in Israel and Palestine. 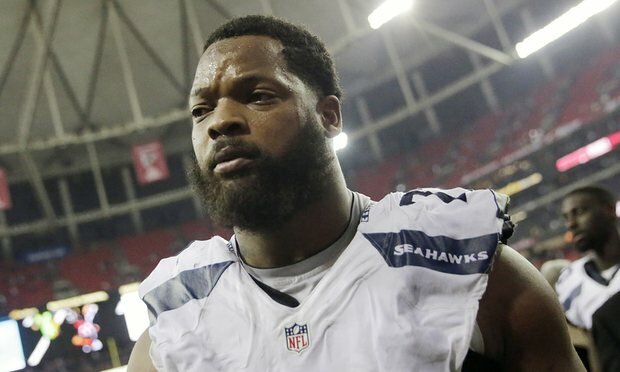 When Bennett and Stills heard and heeded this call, they joined a long tradition of athletes, artists, musicians and everyday citizens who have used the time-honored tool of boycott to protest injustice everywhere from the segregated US South, to Apartheid South Africa, to the Trump White House. People across the US today are refusing to normalize the abnormal, refusing to look the other way while the Trump administration tramples on the rights of people of color, immigrants, Muslims, and others. Musicians refused to perform at Trump’s inauguration, grassroots campaigns forced companies like Nordstrom to drop Ivanka Trump’s brand and Uber’s CEO to leave Trump’s advisory team. Along with Michael Bennett’s brother, New England Patriot Martellus Bennett, at least five other Patriots team members are taking the stand to boycott the traditional White House visit made by Super Bowl winners. This is what resistance, and solidarity, looks like. More than a decade ago, Palestinians called on allies around the world to support their struggle for freedom, justice and equality by using boycotts, divestments and sanctions (BDS) to pressure Israel to respect international law. Many faith groups and churches in the U.S. have done just that, including the United Methodists, Presbyterians, United Church of Christ, and Evangelical Lutheran Church in America. So too have numerous academic, labor, and social justice groups, includingDream Defenders (which led a historic delegation to Palestine) and the Movement for Black Lives. According to a recent poll, 60 percent of Democrats, and 46 percent of all Americans, would support sanctions or stronger action against Israel because of illegal settlement construction. With Israeli Prime Minister Benjamin Netanyahu and the extreme right in Israel emboldened by Trump’s administration, BDS as a political tactic is more necessary than ever to hold Israel accountable for their ongoing human rights abuses and disregard for international law. Since Trump was sworn in, 6,000 new Jewish settlement units have been approved by Israel. In addition, Netanyahu announced he will establish the first entirely new settlement in more than 20 years. Beyond that, Israel’s parliament recently passed a bill legalizing under Israeli law dozens of so-called “outposts” on privately-owned Palestinian land. Meanwhile, President Trump is explicitly drawing on Israeli policies -from militarized policing and racial profiling to walls designed to prevent refugees from entering the country- as part of his crackdown on the rights of the vulnerable. Increasingly, police departments across the U.S. are going on trainings to Israel, or receiving trainings from the Israeli military. In some cases they’re also receiving weapons from Israel. The results we see unravel in the streets, as Black and Brown bodies are routinely shot down and harassed with little to no accountability. While it would unreasonable to blame Israel for state violence in the United States, the economic and military connections between the two nations demonstrate the need for deeper analysis and organized action. In this increasingly volatile political climate, where freedom to dissent is being cracked down on in new and scary ways, it is more important than ever that we stand in solidarity with communities fighting oppression. When people are lucky enough to be in positions of power and influence, such as Bennett and Stills, it’s imperative they use their platforms to speak out against social injustice. Now is the time. Justice cannot wait. Marc Lamont Hill is Distinguished Professor of Africana Studies at Morehouse College. He is the author of Nobody: America’s War on the Vulnerable from Ferguson to Flint and Beyond.